If you use Twitter and work with automation machinery, equipment, and sensors then please consider following us @SoftNoze. You may also track our additional posts at Sensor Mounting Brackets and Industrial Automation Sensor Mounting Brackets. August 24, 2015 - Robot and controls manufacturer, Fanuc to bet on Artificial Intelligence in designing machinery for Factory Automation. Follow @SoftNoze to learn about 'Mounting, Applying, Positioning & Protecting" [MAPP]™ sensors and switches used to enable robtic automation. August 3, 2015 - Quickly converts your Automation Sensors into; Timers, Counters, or flips N.C. to N.O. (and vise versa), and more programmable features! Field installed for Industrial Control Systems ProxConverter™ by SoftNoze USA Inc, follow us @SoftNoze The ProxConverter™ components adds new control options for; inductive, photoelectric, ultrasonic, laser, and capacitive sensors/switches commonly used with PLC's, but without editing the program! An electrician or millwright can make quick changes without knowing PLC ladder logic, etc. 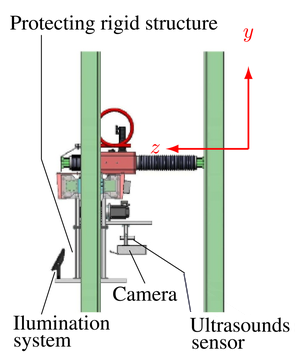 June 19, 2015 - Using @AllenBradley 871F Weld Field Immune, Flat Pack, Proximity Sensors? @SoftNoze offers Protective Housing Covers for Allen-Bradley / Rockwell Sensors Follow @SoftNoze View a "HC" Sensor Housing Cover example. April 2, 2015 - Sensors and switches are often used within metal stamping dies, they increase production rates, protect the die, and help to produce better parts/reduce defects. 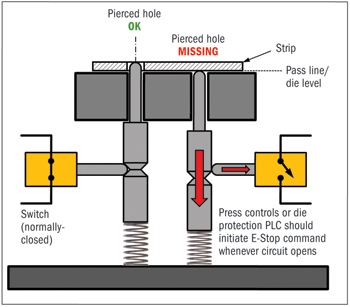 Die designers and builders often follow stamping die standards Applications, and possible SoftNoze components include; part presence sensing, part out sensing, cam return sensing Such applications, like the pierced hole detection example below, are a must for transfer die systems. Metal stamping die standards http://t.co/4Sr3zJ4RDa All Part Presence, Part Out & Cam Return Sensors must be used on all Transfer Dies. March 26, 2015 - Process Control Automation for Food & Beverage Industry #automation Level #controls #sensors & level detection sensor mounting well from @SoftNoze, follow SoftNoze for more news and components for process sensor accessory category. March 7, 2015 - News: Omron's 2014 Year in Review, read (PDF) Omron's IA Report, a manufacturing & global sales Industrial Automation; Control systems, mechanical, and electrical components- factory automation (FA), process automation (PA) and industrial controls-related equipment. Contact us for Omron Sensor Brackets & Omron Switch Mounts by SoftNoze. March 1, 2015 - Article, Jobs vs. Robots: As use of Automation Machinery expands, so to have the number of jobs, plus a chart of top five markets for industrial robots. March 1, 2015 - Posted by @SoftNoze a study; Top Mechanical Components for Factory Automation, includes Sensors & Switches Mentions brands such as; Rockwell Automation, Sick, Pepperl+Fuchs, Danaher, Omron, and others. February 20, 2015 - Using #FactoryAutomation Sensors & Switches? If you're in or traveling through, Upstate New York, please drop in and say "Hi". We'd like to share our story, get your opinions... where located here 2216 Broad Street, Frankfort NY 13340. Can't make it, then consider follwing us @SoftNoze on Twitter. February 10, 2015 - Level detection, proximity sensing with Ultrasonic Sensors for Machinery & Industrial Automation Integration solutions Tank Well Sensor Mounts and Sight Glass Mounts help you quickly mount sensors into your process controls systems. 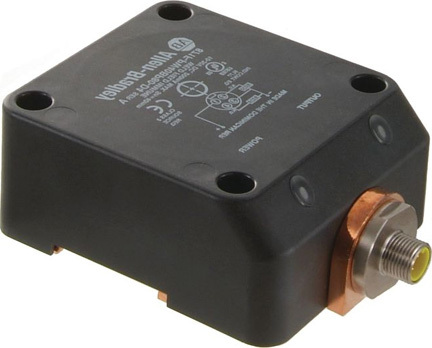 February 8, 2015 - From @SoftNoze & Machine Design Magazine: Sensor Technology & Capacitive Encoders offer durability & precision. Contact SoftNoze for components to apply and mounting encoders. February 1, 2015 - From @SoftNoze: Market study: Global Distance Measurement Sensors; Ultrasonic, Laser, Capacitive and others, from 2014-2020. Used mainly in Industrial Automation. 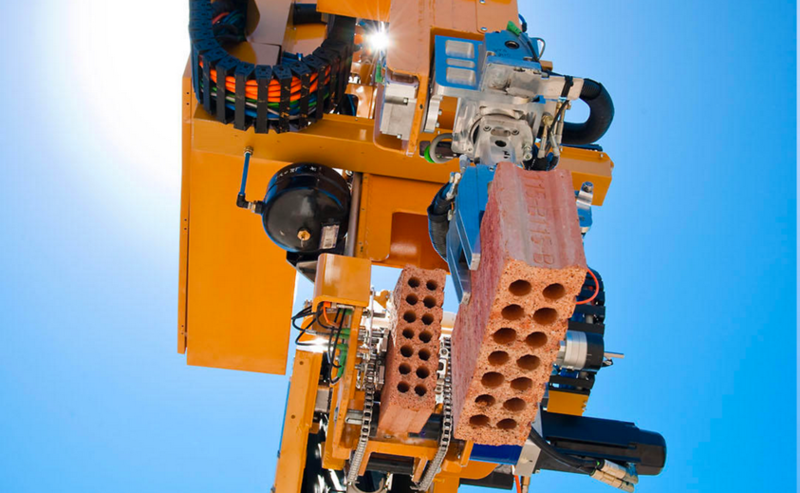 Designing automation equipment and machines? Select our Inductive Sensor Brackets and mounting systems. January 31, 2015 - How the rising dollar has pressured U.S. Manufacturers to Increase levels of Automation & Computer Controls via @WSJ and SoftNoze USA Inc, connect with us @SoftNoze View sensor brackets for robot automation cells. January 19, 2015 - At SoftNoze our single focus is on components that add value to factory automation sensors. We call it MAPP™ for short. Consider following us @SoftNoze, or contact SoftNoze via other means. January 7, 2015 - As wireless controls in factory automation applications expand, wireless sensors will still need to be installed with sensor brackets and sensor mounting systems, SoftNoze can help, it's our only focus. "Machines Made by Man" by Red Bud Industries, view https://t.co/GH7DPQyv2h Great message, well done! We support Machinery & their Makers! December 23, 2014 - Per Pepperl+Fuchs The world of sensors, click to view product overview brochure (PDF) for the factory automation industry. December 29, 2014 - From @SoftNoze DC Automation Sensor Test Set Diagnostic Checker; confirm sensor adjustments to alignments and sensitivity conditions, confirm proper target detection and collision avoidance. End downtime by confirming inductive, photoelectric, capacitive and ultrasonic sensor operation. December 19, 2014 - SoftNoze designs, manufacturers and sells Industrial Automation Sensor Brackets, including models that fit sensor and switch brands such as OsiSense. Pick SoftNoze Schneider Sensor Bracket solutions. December 19, 2014From Seltec Automation @SeltecSales EasyMount Capactive Sensors are used to solve part presentation errors, in this case "inverted bottle caps". Follow @RECHNERsensors Read these links for other capacitive sensor mount and capacitive sensor bracket solutions by SoftNoze.